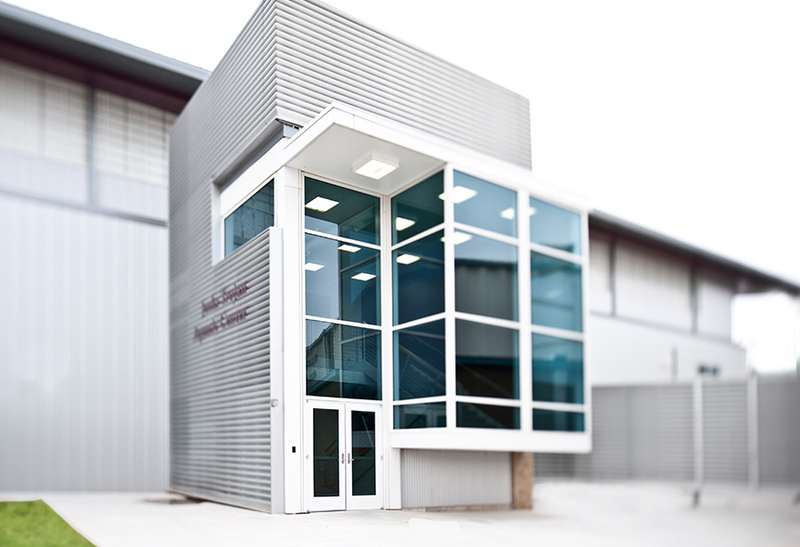 The highly competitive Jenks swimming program used to conduct daily workouts in a pool more than 30 years old, but a 2009 bond issue gave parents and students a new athletic facility worthy of the school’s long-standing tradition of swimming excellence. 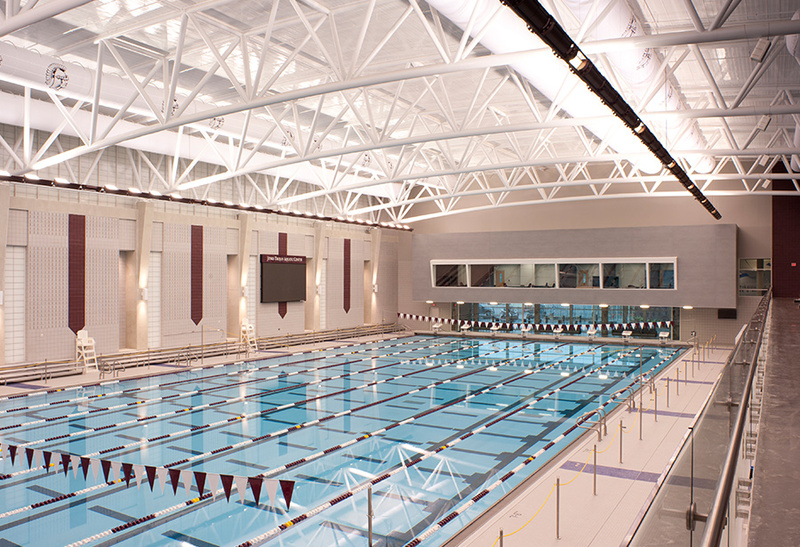 The new Jenks Trojan Aquatic center features a modern design and a 50-meter pool considered to be the healthiest in the nation. 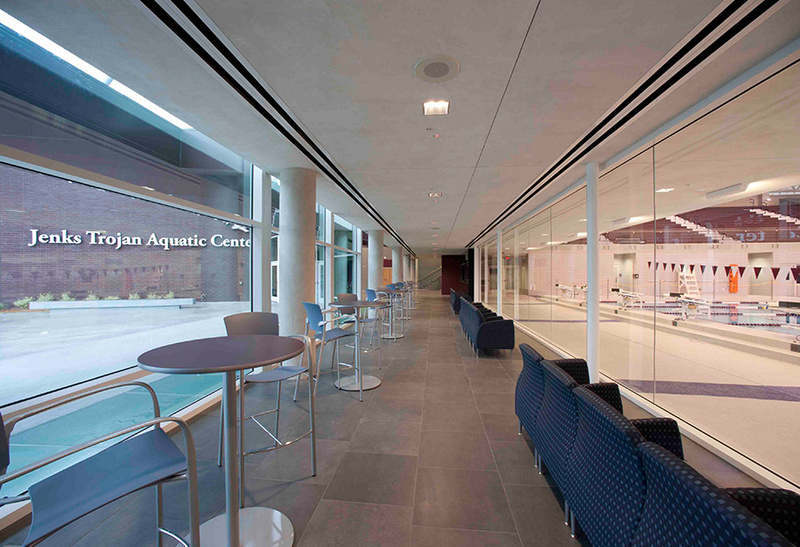 The Olympic-quality pool is the first competitive pool in the U.S. to offer an innovative system that removes chloramines from the water and addresses swim-related respiratory ailments that plaque competitive swimmers. This system–paired with two custom energy recovery dehumidification systems–prevents burning eyes, coughing and respiratory difficulties common in natatoriums. The center is used by Jenks Public Schools, the surrounding Tulsa metro community, U.S. Master Swimming, and competitors in regional championship series. 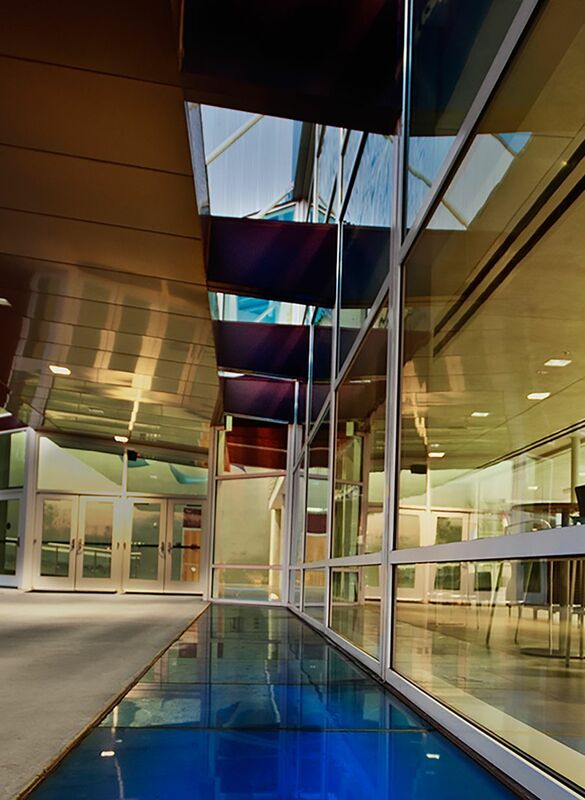 The design features a generous exterior plaza, 1,200 spectator seats, coach and administrative offices, locker rooms, and a lobby with a glass curtainwall that allows a full view of the pool. 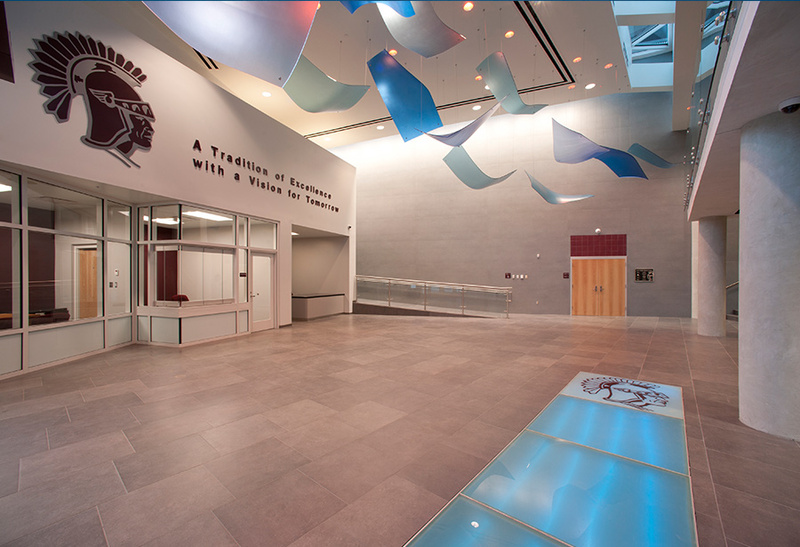 KSQ used a water design motif that flows throughout the facility, from the “breaking wave” roof, to the blue “waves” hanging from the lobby ceiling and the “river of glass” viewing area. White “fins” on the exterior disguise pipes and other mechanical equipment. An efficient lighting system provides illumination for televised events; yet computerized controls keep lights at energy-efficient levels for daily use, alternating bulbs to save energy and replacement costs. Awards: AIA Honor Award (AIA Westchester + Hudson Valley, 2012), Outstanding Design-Sports Stadiums/Athletic Facilities (American School and University, 2012), Outstanding Design-Work in Progress (American School and University, 2008).